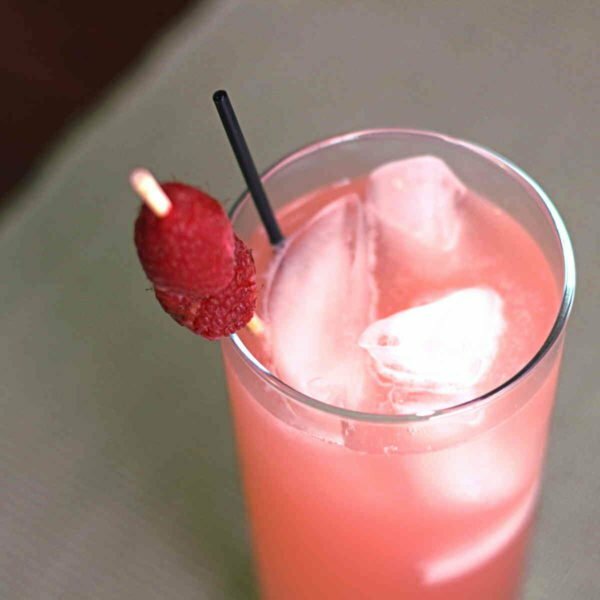 The Rasmaretto drink recipe blends sweet almond, raspberry and lemon flavors into a surprisingly wonderful combination. The healthy dose of lemonade makes it palatable to most anyone. This is a great cocktail for parties, since it can be pre-mixed and served from a pitcher. It’s also great for relaxing in warm weather, drinking on a night out when you don’t want to get too drunk/dehydrated or enjoying with a nice meal. It’s a lightweight cocktail – the only alcohol in it is amaretto, which is a low proof liqueur. If you want more of a kick, just add an ounce of vodka. I’m not sure whether this drink originated in the US, where lemonade is flat, or the UK, where it’s fizzy. I made it with flat because I’m in the US, but I’m positive fizzy would be delicious, too. For the raspberry syrup, you can buy it or make your own. If you enjoyed this drink, take a look at the Raspberry Blush, which blends raspberry syrup with dark rum, dry vermouth and lime juice. 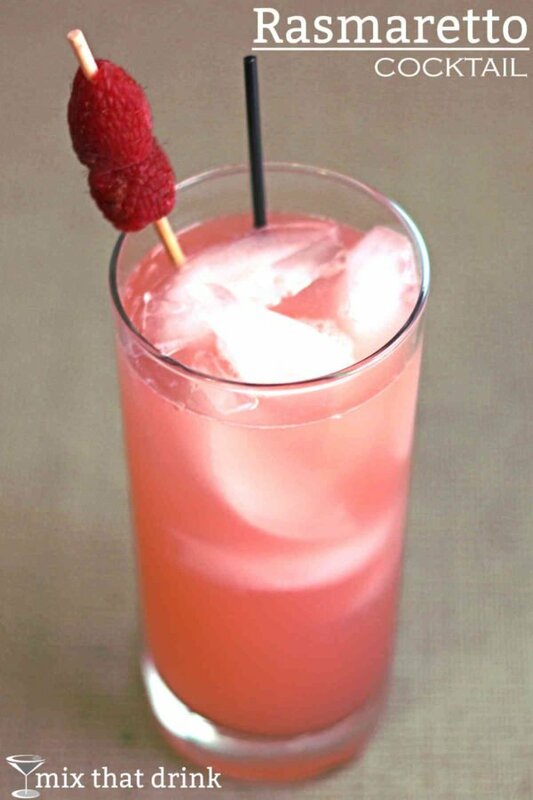 Also the Raspberry Kamikaze, which puts Chambord raspberry liqueur together with triple sec orange liqueur. Fill a collins glass with ice. Pour the ingredients in and stir.